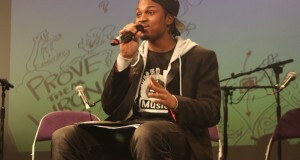 Home›News & Events›Wired4Music Leadership Programme – New Leaders! Wired4Music Leadership Programme – New Leaders! We’re delighted to welcome our new cohort of young leaders to the Wired4Music Leadership Programme this week! With ideas ranging from the development of a company of young music mentors, to the creation of a music and multi-arts collective we’re sure that the participants will keep us busy! The Leadership Programme is in its second year and offers mentoring, expert industry advice, professional development and a small bursary to develop the ideas of young people. You can find out more about last year’s participants on the website.